For those who wish to try the latest wonders from the nootropic world, Choline capsules would be the right choice, which brings a solid foundation to neuroscience and medicine. In general, choline supplements are necessary for your brain to synthesize Acetylcholine, an important neurotransmitter to various brain functions, including conscious thought and memory. Choline supplements could be found in regular diet, especially with eggs and meat, yet some people, due to certain medical conditions and drug intake, need an additional quantity of Choline through supplements in order to make their brain, function properly. In this case, Choline pills can bring the additional Choline quantities and enhance the cognitive activity of the brain, ensuring a better maintenance and health of the neurons. When it comes to Choline supplements, there are numerous members of this supplement family, with all the formulations produced equally. Prices may vary with each Choline supplement, but those that are considered the cheapest have usually a less significant impact on the brain functions, probably due to poor absorption. So, what kind of Choline pills should you purchase? Discover more in this article, and start the safest way to a nootropic therapy. The safetiness of this supplement is well determined by the fact that Choline supplements belong to the B4 group of vitamins, as fully recognized by the FDA in the U.S.A. This essential nutrient appears in abundant forms from Sphingomyelin and Phosphatidylcholine. As a significant precursor for the neurotransmitter Acetylcholine, Choline is also involved with brain functions such as memory, focus, attention control, muscle control, and learning. The beneficial effects of Choline can be seen in the prevention of Steatosis, or the fatty liver disease. That is when Choline removes fats from the liver and prevents the toxic effects of fat from affecting your liver. The recommended daily dosage for Choline is somewhere between 425 and 550 mg in the diet. However, less than 10% of the population in the world can actually follow this. The supplement is water-soluble like any other presented member of the vitamin B group, so it is important to take it on a daily basis, replenishing the body in order to achieve the brain’s full potential. According to sources, it could be found in sunflower lecithin, soy lecithin, chicken, fish, eggs, and beef liver. Choline could also be found in various chemical forms, such as Choline citrate, Choline bitartarate, Phosphatidylcholine, Choline chloride, Lecithin in combination with Choline, and nowadays, the more popular Alpha GPC and Citicoline choline. Different Choline supplements have different potencies, levels of cerebroactivity, prices, conversion rates to Acetylcholine, and bioavailabilities. If you compare these supplements by its costs, Lecithin wins, yet less than 10% of Choline is delivered when this supplement is administered, which means that you need to take a much higher dose for best effect. For a higher potency degree and also a higher price, one can have Phosphatidylcholine, and other forms of Choline salts like Citrate, Tartarate and Chloride. On the other hand, the bioavailability of such a group is low and does not improve your brain functions significantly. Probably the best and the most popular Choline supplements are Citicoline and Alpha GPC. Both are more expensive, but are more efficient, showing an increase levels with the brain functions and bringing the ultimate nootropic effect on cognitive functioning. Both are quickly absorbed and converted in the brain, which means that much a lesser dose is needed in order to enjoy the full benefits of these Choline precursors. Why are Choline pills the best choice for you? As mentioned in the beginning, Choline can convert into Sphingomyelin and Phosphatidylcholine, alongside Acetylcholine, which are essential for the brain’s functions and maintenance. These substances, which are normally present in low concentrations in the brain cells, act as insulators for the neuron’s electrical circuitry, which leads to a much quicker and efficient neurological communication process. Many brain conditions can lead to the disintegration of this lipid tunica, which can also lead to a poor brain communication between neurons that leads further to cognitive denial. Therefore, the absence of electrical transmission between neurons is unimaginable, so it is important to maintain the levels of these substances. Choline supplements are also Acetylcholine precursors, potentiating the formation and effect of this powerful neurotransmitter. Acetylcholine maintains mental concentration and thinking, including memory development and consciousness. It helps in the transmission of the nerve signals from the brain, spinal cord, to the muscles, heart, lungs, glands, and the whole gastrointestinal system. As we age, the formation of Acetylcholine becomes lesser, potentially leading to Alzheimer’s disease and other mental conditions linked to memory deficiency. By taking Choline supplements, we could prevent these conditions, ensuring the complete formation of Acetylcholine without the neuronal damage linked to aging. The FDA recommends a certain range of dosage for Choline supplements, and that is between 425 and 550 mg per day. In order to prevent brain deficiency, one must meet the daily dietary needs of an average person. A higher dose can improve the desired cognitive function, where some experts recommend the dosage at 3,000 mg daily from supplements such as Choline chloride and Bitartrate. A higher dose is recommended for these forms because Choline salts are degraded in the gastrointestinal tract by bacteria. For highly potent Choline supplements, like Alpha GPC and Citicoline, it is important to take a lower dose because these supplements have a good absorption rate. Concerning Alpha GPC, a daily dosage of 500 mg is enough to enjoy its beneficial effects. Please pay attention to your diet, because you may as well take additional Choline through food like meat, fish, and eggs, so calculating your daily intake of Choline through food along with the supplements is essential. Vegetarians who certainly avoid meat should take a higher dose of these supplements in order to replenish the poor choline intake from their diet. Since these supplements are considered to be the members of the vitamin B group, Choline supplements in such forms are safe and are even naturally found in the body and in our common diet. The risk for any side effect is low when the administration is practiced through the recommended dosage. 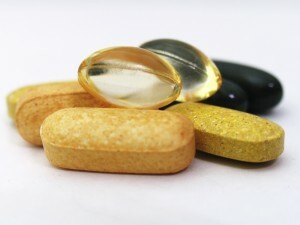 The supplements are safe and can be tolerated by everyone, especially by young healthy adults. In some rare cases, some side effects are possible and are mostly sweating, appetite loss, and an increase in body temperature. Please, consider a consultation with a medical professional in order to start a much safer nootropic treatment with Choline supplements such are given in this review. It is also extremely important to maintain a healthy way of living while offering your brain an opportunity for better cognitive functions and preventing cognitive denial brought by many medical conditions, such as the Alzheimer’s disease.